ChampChange is an engagement incentive program for undergraduate students. Eligible students earn ChampChange points by attending workshops, tutoring sessions, learning centers, success appointments, fitness center, football games, and many other activities on campus. 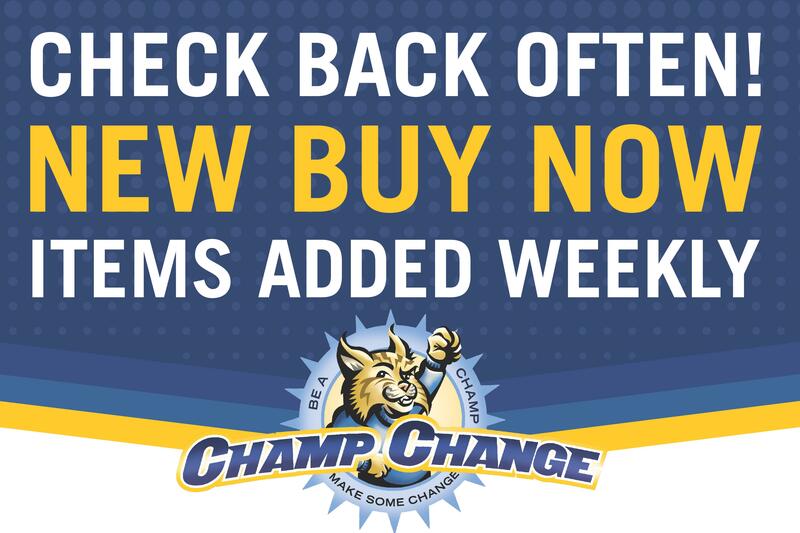 Students may use earned ChampChange points to purchase prizes at several auctions held throughout the semester. The Allen Yarnell Center for Student Success is in part with the overall university's effort to increase retention rates at MSU. Research has shown that students who feel connected to their university are more likely to persist to graduation. As a way to foster that connection, ChampChange encourages students to become active members in their community through participation in events and activities around campus. Attend ChampChange sponsored student events and activities. All the events students can earn ChampChange from can be found on the upcoming events. Students can also earn ChampChange by swiping their Cat Card through one of our permanent readers, listed below. ChampChange is an easy way to get involved in campus activities and earn rewards for it! Follow us on Facebook for upcoming events and to tell us what prizes you want!